Are you interested in Exhibiting? Contact Jamie Hughes, Director of Events & Programs at jhughes@isigmaonline.org or 602-788-6243, ext. 2007. Secure destruction companies large and small turn to AES for innovative solutions that help them better manage their recyclable materials. The experts at AES can help you operate more efficiently, safely and profitably with recycling equipment and systems for both plant-based and mobile operators. Our full line of recycling equipment includes balers, shredders, conveyors, cart tippers, and floor scales. Systems include Plant-based Shredding and Baling Systems, our exclusive Mobile Truck Unloading and Baling system, and our economical Dust Control System, all with expert project management, installation, start-up, and training included. Our service department offers 24/7 customer support, plus maintenance, parts and baling wire. New, used and reconditioned equipment is available. Learn more! Contact Jeff Dietterich at (800) 572-9998 or aesjeff@aesales.net. All Source is North America’s largest distributor of the Defender series line of secure collection carts, consoles and recycling container solutions. For over 15 years, All Source has been committed to providing the highest quality products, leading turnaround times, and superior customer service. With 4 industry leading fulfillment centers in North Carolina, Texas, Arizona and Ontario, All Source provides the fastest turnaround times and excellence in customer experience. All Source is the source for your container needs! Learn more! Contact Matt McKeown at (866) 526-4579 or matt@allsourcemfg.com. Allegheny has come to mean superior equipment, excellent reliability, and innovative solutions for the majority of secure destruction service providers, RIM centers, and e-scrap recyclers. With over 50 years at the helm of the shredding industry, we have produced the highest-capacity equipment for secure destruction along with the know-how to ensure your success. So whether you need a powerful shredder, cross-shredding system, security grinder, hard drive/e-scrap shredder, horizontal baler, conveyors, tippers, or an auto-feed system, just call us, and ask for our free Buyer’s Guide full of practical information that can help you save literally thousands of dollars! Learn more! Contact Evelyn Jefferson at (800) 245-2497 or solutions@alleghenyshredders.com. Since our first delivery in 2004, Alpine Shredders Limited has forever changed mobile shredding equipment. Utilizing better engineering and designed to deliver high-performance shredding capabilities with the ultimate goal of reliability, Alpine Shredders continues to manufacture the lowest cost operation equipment in the industry. Models including non-CDL, CDL and the fastest shred truck on the planet, we have an option to fit your business needs. Learn more! Contact Guy Wakutz at (519) 745-8562 or gwakutz@alpineshredders.com. American Baler Company has been building cutting edge balers for 70 years. We have worked with a lot of NAID member companies over the years and we have learned how to build baler models to meet the specific needs of your industry. We know that you want dense, square bales and that baler reliability and dependable customer service support are essential for your overall success. And that’s what you’ll get when you buy an American Baler, along with the best baler warranty in the industry! Learn more! Contact Misty Boyd at (419) 483-5790 or mboyd@americanbaler.com. Customers Rate the REGAL shred cabinet #1 in the shredding industry. Patented features offer faster service with more durable construction. The REGAL is the only true Ergo cabinet with built-in handles. The REGAL reflects ACES’ commitment to delivering quality products to our customers under the mission: Quality Doesn’t Cost, It Pays! ACES has the fresh, easy to do business with approach because you can pick-up the phone and talk with an owner of the Company. That’s our commitment to service. ACES has exclusive distribution of the REGAL Ergo Cabinets, 24”, 27” and 35”, along with the 11-G REGAL desk side containers. The desk side containers are available in black, manufactured with recycled resin, or pink in support of breast cancer research. ACES also feature the Otto line-up of document destruction carts: 32-G, 65-G, 95-G and 175-G or 660L. ACES is the exclusive national distributor of the Toter brand of document carts. Toter’s 64-G and 96-G carts are truly designed and manufactured as a 4-wheel cart for the document destruction industry and not retrofitted. ACES is a national distributor of Cavert Wire to meet your baling needs. Working out of multiple warehouses nationwide, ACES offers the fastest turnaround time for shipping and the option to pick-up product. Learn more! Contact Emil Brignola III at (770) 971-6042 or sales@acesllcusa.com. American Fiber Services provides pulp and paper sales and procurement services to generators and consumers worldwide. AFS specializes in servicing companies in the document destruction industry, helping them increase their profits by improving management of the scrap paper side of their business. AFS provides equipment selection, procurement and installation, and supply agreements that guarantee premium pricing for document destruction clients. AFS is a joint venture company of SCA, one of the world’s greenest and largest tissue manufacturers. Recognized industry-leading U.S. manufacturer of industrial shredders for paper, hard drives, and product destruction. Provider of complete E-Scrap systems from engineering to installation. Other industrial recycling equipment includes cart tippers, box dumpers, dust collectors, metering/feed systems, conveyors and balers. Extensive engineering and custom manufacturing capabilities available. Learn more! Contact Steve Idalski at (989) 358-6121 or info@ameri-shred.com. How do you design software that clients love? You talk to your clients! Client collaboration is the foundation of Andrews Software Inc.’s success. Client partnership over software provider is what helped ASI grow from a small start-up in 1984 to become one of the industry’s most successful RIM services software companies today. Leading records centers, media vaults, destruction and medical waste companies around the globe rely on ASI software to grow their businesses. Are you ready to work in partnership with a software technology partner? Contact us today, or visit us for a demo during the NAID & PRISM Annual Conference & Expo. Learn more! Contact Scott Bidwell at (440) 546-9771 ext. 204 or sbidwell@andrewssoftware.com. 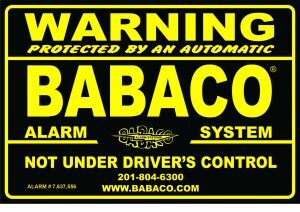 Babaco Alarm Systems Inc has been the leader in providing transportation security since 1932. Billions of dollars of cargo have been safely transported throughout the U.S. and Canada under the protection of Babaco. Babaco’s security features include: proprietary local alarm systems; GPS tracking; patented automatic door locking systems for all type of commercial vehicles; digital seals; high-security padlocks; and wireless devices connecting commercial vehicles to central station monitoring. Babaco is uniquely qualified to design and install individualized security systems to protect mobile assets. Learn more! Contact Greg Haber at (800) 283-2222 ext. 229 or sales@babaco.com. Balemaster, Crown Point, IN, manufactures Auto-Tie Balers specifically designed for high density baling of shredded paper for the confidential shredding industry. Many advanced features are provided to maximize throughput capacity. Balemaster distinguishes itself as a leading innovator of baling technology having designed and installed waste handling equipment for a wide range of applications worldwide. Learn more! Contact Josh Rykard at joshrykard@balemaster.com or 219-663-4525 ext. 264. Don’t be left with your head buried in the sand! Bins4 Shredding is launching a NEW LINE of containers and collection solutions for 2019. We provide the most comprehensive line of compliant, secure containers for your paper and e-waste collection, as well as an extensive selection of recycling solutions. Come visit us to see the most innovative containers in the document destruction industry. Our team understands what is needed today, for tomorrow’s requirements. Learn more! Contact Cory Layes at (855) 792-4050 or cory@bins4shredding.com. Blancco is the industry standard in data erasure and mobile device diagnostics. Blancco data erasure solutions provide thousands of organizations with the tools they need to add an additional layer of security to their endpoint security policies through secure erasure of IT assets. All erasures are verified and certified through a tamper-proof audit trail. Learn more! Contact Liz Adams at (770) 971-9770 or sales-us@blancco.com. 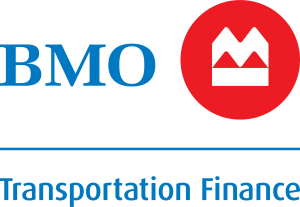 Loan or lease, new or used, shred truck or box truck, BMO Transportation Finance has options that can help your business grow. For 45+ years BMOTF has specialized in truck and trailer financing for companies of all sizes. We offer a 1 page on-line application for total lending up to $1,000,000. Contact us today to see how easy truck acquisition can be. At BMO, we speak shred. Learn more! Contact Frank Zellner at (214) 492-4479 or Frank.Zellner@BMO.com. Cavert Wire is the first name in baling wire since 1910. Our commitment to the highest manufacturing standards, together with our competitive pricing, have made us the largest producer of black annealed baling wire in the United States. Cavert Wire manufactures a variety of baling wire to meet your needs including single loop bale ties, auto-ty box wire and auto-ty stem wire. Cavert Wire stands alone as America’s premier baling wire manufacturer in the recycling industry. Learn more! Contact Bert Shiflet at (800) 444-4005 or bshiflet@cavertwire.com. Coastal Wire Company is the premier provider of wire products to the recycling and galvanizing industries and continues to innovate in the manufacture of fully-annealed, high-strength baling, tying and specialty wire products. Coastal Wire has over 40 years of manufacturing experience and owns and operates two steel wire draw mills as well as strategically positioning and stocking six warehouses for easy shipping to the entire U.S. markets. Coastal Wire also manufacturers parts for wire tiers along with service covering the entire nation. For the absolute best quality wire whether it being Black Annealed or Galvanized give Coastal Wire a try. American Manufacturer using American steel! Learn more! Contact Pete Tollmann at (800) 768-9473 or pete.tollmann@coastalwire.com. Commodity Resource and Environmental, Inc. (CRE) is one of the largest purchasers and recyclers of scrap x-ray microfilm and graphic arts silver bearing film in the United States. CRE also offers a secure HIPAA BAA compliant system for all your x-ray film records and a certificate of destruction and insurance. Ship or deliver your scrap film to CRE for maximizing your recycling profits. CRE was the first NAID AAA certified refiner in the United States, and we are currently celebrating 39 years in business. Learn more! Contact Stacy Aesoph at (818) 843-2811 or saesoph@creweb.com. Cook Paper Recycling Corporation is an independent recycled material brokerage firm specializing in the continuous, efficient and dependable movement of sixty different grades of paper stock; seventeen different grades of plastic and five different types of metal throughout the United States as well as to export markets. Learn more! Contact Joe Jurden (913) 956-5060 or jjurden@cookpaper.com. Only Compliance Publishing provides all of these functions within a single application. All online in a secured cloud. Crawford Thomas Recruiting is a nationwide recruiting and staffing firm recognized for exceeding client expectations regarding time to fill, value and quality of candidates. Our success has included the functional areas of sales, information technology, accounting, finance, engineering, operations, management and human resources. Crawford Thomas Recruiting is proud to service clients ranging from startups to members of the Inc. 5000 and Fortune 500. Learn more! Contact Katie Werner at (407)960-5832 or katie.w@crawfordthomas.com. Cresswood manufactures the world’s most robust and reliable shredders and grinders for size reduction and recycling of plastic, wood, and paper. Engineered for durability and custom manufactured for your specific application requirements, our expert team delivers decades of experience to tackle any processing challenge. Cresswood understands the unique requirements of the document destruction industry. Cresswood shredders last for years with minimal downtime. Cresswood takes utmost precaution to ensure that your customers’ data is shredded to a secure product size. Cresswood’s high-performance shredders have helped many document destruction companies become more successful and more profitable. CSR Privacy Solutions, Inc., the data privacy authority, provisions privacy solutions for the largest number of small and medium-size business globally. CSR’s patented and award-winning solutions enable businesses to navigate the complicated world of Privacy. CSR, staffed by certified information privacy professionals, endorse Privacy as a fundamental human right. Visit our website! Learn more! Contact Dan Federgreen at (772) 631-5020 or dfedergreen@csrps.com. DACS is a manufacturer of corrugated steel decking and accessories located in Portsmouth, Virginia, USA. Exhibited will be 2 key products used in rack systems for storage of paper boxes. Punch Deck® is a 50% open area and FM Approved rack decking – designed and tested to allow warehouse sprinkler water through to lower storage levels. FlueKeepers® are a cost-effective and easily installable storage rack accessory that help maintain required Transverse Flue Spaces. Learn more! Contact Gary Smith at (757) 337-5005 or gsmith@dacsinc.com. As the leading American manufacturer of National Security Agency (NSA) evaluated products for the destruction of electronic information, Data Security, Inc. offers the widest variety of equipment options and customized solutions. Learn how your company can provide services that meet the strictest regulations set for government and commercial sectors, as well as NAID’s Certification for Electronic Media. Let us exceed your expectations for innovation, dependability and customer support. For over 30 years DeHart Recycling Equipment, Inc. has been providing solutions to customers needs with quality balers, shredders, conveyors, recycling equipment and knowledgeable service support. Our mission is to provide innovative, efficient and reliable solutions to our customer’s document destruction & processing needs. Our goal is to exceed our customers’ expectations in quality, productivity, and cost. As a customer-centered company, we focus on their needs in order to provide superior quality equipment and turn-key solutions through custom design, manufacturing, installation and support of plant-related systems. Simply put; We take pride in our customer’s success. DocuData Software offers a variety of asset management systems. Our solutions manage shredding, record center, vaulting, images, and a lot more. It’s designed and developed by owners like yourself. Our systems are intuitive, logical and easy to use. RcMobile app has all the info your workers and drivers need to complete their jobs. It can even process payments, send invoices and destruction certificates. It notifies you when mistakes happen for immediate correction. Track, order and manage everything with our unique, intelligent barcodes. DocuData does it all, even hosting at affordable prices. Learn more! Contact Clifford Besner at (866) 789-2789 or Cliffordb@docudatasoft.com. Downstream Data Coverage is the only professional liability insurance coverage designed and promoted by NAID specifically with the subtleties of the data-related service provider in mind. Unique features include breach notification coverage to the full coverage limit, applicability to all media, including electronic and emergency response coverage. Downstream Data Coverage is now also available for records storage and other related RIM services. Learn more! Contact Robert Johnson at (602) 788-6243 or rjohnson@isigmaonline.org. Leveraging over 20 years of storage engineering experience in test and development, EPS hardware and software erasure solutions are unlike any on the market. Our solutions provide a level of innovation unrivaled in the industry with responsive technical support to back it up. Offering a host of appliances for data center, on-site and in-house test, erasure and imaging deployment, EPS stands apart from competitors both in the diversity of our solutions and our engineering design. Learn more! Contact Colin Carufel at (508) 278-3600 ext. 111 or sales@extremeprotocol.com. EZshred is a simple to learn, yet extremely powerful software system to run your shredding, medical waste, record storage or recycling business. From scheduling and routing using Google maps to invoicing and reporting, EZshred takes care of the details so that you have time to manage and grow your business. Ask about our cutting-edge Android and Apple smartphone apps, and cloud services as well! Learn more! Contact Tiffanie Julian at (440) 729-0373 or tjulian@EZshred.com. For over 50 years, Garner Products, Inc., has specialized in the design and manufacture of high-quality media erasure and destruction equipment. Garner Products, Inc., is now the world leader in data elimination products. Garner manufactures NSA/EPL data degaussers and physical hard drive destroyers that guarantee complete data elimination from all formats of magnetic media, as well as destroyers for SSD storage devices. Learn more! Contact Michael Harstrick, CSDS at (916) 784-0200 or mharstrick@garner-products.com. Guardian Containers mission is to provide document shredding companies with high quality, security containers made in the USA. We are excited to be a proud partner of SSI SCHAEFER, the leader in quality secure collection containers. Guardian Containers employs the very best in customer service and delivers solutions to our customer’s needs. The Guardian Containers team has decades of combined shredding and recycling experience, which gives us better insight to the needs of our customers. A real person will answer your call to give you the dedicated and responsive service you deserve. We have 2 locations to serve you, we ship orders within 1-3 business days and can ship products anywhere in North America. Document security starts with security containers and there’s no better choice than Guardian Containers. Learn more! Contact Ruth Whitis at (310) 217-1533 or ruth@guardiancontainers.com. GDD provides a comprehensive suite of ONSITE e-data destruction services, ranging from hard drive shredding, NSA degaussing and DOD erasure on desktop and data center equipment. All services are performed at your customer’s location with a detailed chain of custody and COD supported with our logistical and asset disposition services. GDD only works thru VAR’s and resellers allowing our partners a national turnkey solution to resell our destruction service without the large investment in equipment and infrastructure. Learn more! Contact Glenn Laga at (718) 609-1685 or glaga@guardiandd.com. Stop by booth #302 to visit with Joel about designing a conveyor system to fit your vehicles. Hallco LIVE FLOORS® offer the best live floor conveyor recognized by several key industries for being reliable for both loading and unloading of bulk shredded materials. Hallco Live Floor conveyors will allow for a precision fit in virtually any trailer or truck. For all your document conveyor needs, Hallco LIVE FLOORS® conveyors are the cost-effective solution that will allow you to operate more efficiently and profitably. Learn more! Contact Joel Moore at (800) 230-0190 or joel@hallcoindustries.com. ibml is a leading provider of intelligent production scanning and document conversion for service/storage providers. We offer both desktop and ultra-high speed ImageTrac® scanners that convert forms and unstructured documents into the most accurate digital data. ibml Capture Suite and Synergetics software provide intelligent scanning and can categorize both structured and unstructured data. ibml hardware and software products can significantly increase operating margins through higher speeds, greater accuracy, and intelligent categorization. 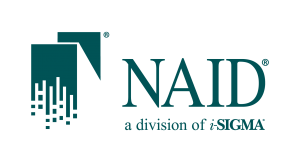 A NAID affiliate member since 2002, Inquirehire is well versed in the NAID Certification requirements for access employees and has been a go-to source for hundreds of NAID members. We are proactive in assisting NAID members with background investigations, drug testing, drug training, and other advanced hiring solutions. Inquirehire enables businesses to optimize their hiring process in order to save time and money, as well as avoid mistakes in the audit process. A true family-run business since 1986, Intek Leasing provides superior one-on-one service for customized leasing and financing programs for the document destruction industry. Celebrating its 33rd Anniversary, the Intek family is proud to be the longest-running NAID vendor in the finance industry. Intek Leasing is an alternate source of off-balance sheet financing that will not tie up your valuable lines of credit. Call Intek to discuss your personal financial needs today! Learn more! Please contact Paul Garfunkel CVLP (973) 403-7788 or paul@intekleasing.com. The KEITH® Self Unloading System – KEITH® WALKING FLOOR® systems are an integral component within the document destruction industry, both mobile and facility based. Installed in a shred truck, a WALKING FLOOR® system provides a reliable, safe and secure method of transporting and unloading whole or shredded paper. With a load capacity of up to 16 ton, the system stores documents and automatically unloads them once the truck reaches a secure location. Unloading time is under five minutes and no tipping is needed. Learn more! Contact Mike Robinson at (541) 475-3802 or sales@keithwalkingfloor.com. KirkpatrickPrice is a licensed CPA firm, PCI QSA, and a HITRUST CSF Assessor, providing assurance services to over 800 clients worldwide. The firm has more than a decade of experience in information security and compliance assurance by performing assessments, audits, and advanced penetration tests that strengthen information security and internal controls. KirkpatrickPrice most commonly provides advice on SOC 1, SOC 2, SOC for Cybersecurity, PCI DSS, HIPAA, HITRUST CSF, GDPR, ISO 27001, and FISMA frameworks. Lindner has been building innovative shredding solutions that offer proven success since 1948. As one of the founding companies of this industry, we have played a major role in pushing technical development forward, have set new standards and become established as the specialist for industrial shredders and innovative turn-key systems worldwide. We design our equipment to exceed the highest standards in reliability, energy efficiency, service, and operator friendliness. Learn more about our innovative designs! Contact Jeff Wolfe at (336) 471-6662 or jeff.wolfe@l-rt.us. For more than thirty-five years, Lock America, Inc. of Corona, CA has developed, manufactured and marketed high-security locks and security hardware. In 2008, Lock America entered the data and information destruction industry, bringing the same commitment to high-security locks and key control that it has delivered to such security-focused markets as gaming, petroleum and propane distribution, recycling, trucking and self-storage. Building on more than three decades of experience, Lock America provides innovative locks and security products for a wide variety of applications for your security needs. Learn more! Contact Frank Minnella at (951) 277-5180 or frank@laigroup.com. 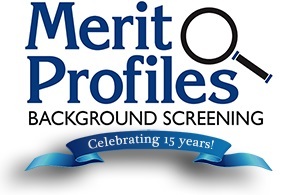 Merit Profiles is a true leader in the background screening industry and a proud Associate Member of NAID. William Rinehart, owner of Merit Profiles served as a NAID auditor for several years. Based on this experience we know exactly what is required to meet the screening metrics for NAID Certification. Our guarantee, any background completed will be NAID compliant. Our secured website convenience, outstanding service and competitive pricing ensure your piece of mind and satisfaction. Learn more! Contact William Rinehart at (805) 489-4500 or will@meritprofiles.com. 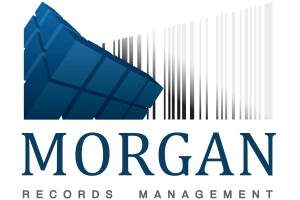 Morgan Records Management is the leading provider in New England of Document Retention and Scanning Services for all the US. We provide solutions. Scanned files are placed in your private online document repository, accessible 24 hours a day. In making EMR migration seamless, cost-effective, and stress-free we offer basic services of document extracting and converting to CSV format. Morgan Records has created the ability to convert any original form to HL7 messages that can be mapped into your EMR system. For customers, we customize the solution; solve problems, lower costs with exceptional service and response. NAID® has a global focus on secure data destruction and advocates for a standard of best practices across governments and by service providers as well as product, equipment, and service suppliers. NAID also works to improve the sales efforts of nearly 2,000 member companies by providing tools for compliance with all known data protection regulations. The NAID AAA Certification Program, which is held by approximately 1,000 service providers on five continents, is now required in thousands of government and private service contracts. NAID is the secure data destruction division of i-SIGMA. NetGain is a digital marketing agency that specializes in generating new business leads for local shredding companies and medical waste managers. Set yourself apart from competitors with modern, mobile-friendly website design. Attract new customers with powerful optimization strategies that directly impact your Google search rankings and map results. Engage your target audience with NetGain’s social media outreach and compelling copywriting service. Target new service areas with our laser-focused, pay-per-click programs. Let’s discuss how we can boost your online marketing. Learn more! Contact Drew Dekker at (705) 797-2455 or info@netgainseo.com. The FIRST Choice of Record Centers Worldwide since 1981. Our technology is installed in more than 90 countries/territories, from start-ups to multi-nationals to manage/track multiple types of data, from deposit to destruction. Used extensively by record centers around the world for secure destruction management with scheduling, routing, barcode scanning and invoicing. O’Neil’s cloud based and on-premises solutions provide an unprecedented level of efficiency and ease of use. A Microsoft® Gold and Zebra®PartnerEmpower™ Value Added Reseller. O’Neil Software provides worldwide coverage, with offices in California, Florida, United Kingdom and Australia. Learn more! Contact Mike Jacobs, CSDS at (949) 458-1234 ext. 285 or mike.jacobs@oneilsoft.com. Tom Dumez, President of Prime Compliance, created the industry’s original employee HIPAA training program in 2009. Tom is a Certified HIPAA Professional and a Certified Security Compliance Specialist and brings more than 12 years of hands-on experience at a full suite records management company. He has performed this program, as well as his comprehensive risk assessment tailored to all aspects of RIM facilities and operations, at more than 100 RIM companies. Prime strives to provide the best “real world” education possible while helping to mitigate risk for both employers and employees. Prime Compliance is also a NAID approved consultant for first-time certifications and has helped 50 companies get certified. And as our logo indicates, Records and Information Management is at the center of everything that we do. Learn more! Contact Tom Dumez at (616) 893-8243 or tdumez@thehipaaman.com. PRISM International™ has a global focus on records information management (RIM), including physical record storage and management, data protection services, imaging and conversion services, and confidential destruction services. It advocates for a standard of best practices across governments and by service providers as well as product and equipment service suppliers within the industry. 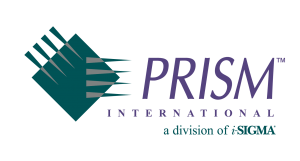 PRISM International serves members in more than 50 countries globally, many of whom hold Privacy+ Certification, a prestigious international certification program that allows RIM companies to demonstrate their commitment to ensuring the privacy of information. PRISM International is the records and information management division of i-SIGMA. Learn more! Contact Sara Berntgen at (602) 788-6243 or prism@isigmaonline.org. Pyromet is leading the way in a declining x-ray film recycling industry, and we acquired another film wash operation. There is still a large amount of conventional x-ray waiting to be recycled, but once removed from shelves, there aren’t new ones filling that space. We have two facilities, both are HIPAA compliant and one is NAID AAA Certified. We will pay you for your x-ray, based on the actual silver recovered, and properly destroy the PHI. Please visit us in booth 304 or contact us anytime. 866-PYROMET (797-6638). Visit us at pyromet999.com. Learn more! Contact Lon Rudnitsky at (610) 497-1743 or lon@pyromet999.com. Rapid Distributing manufacturers and distributes lockable shredding containers ranging in size from small personal-sized containers to large 2-cubic yard dumpsters and lockable shipping crates. We also sell factory-direct wooden security consoles, padlocks, and other supplies for the shredding industry. A large inventory of containers assures rapid shipping of containers, with no minimum quantity requirements. With over 15 years of experience operating our own document destruction company, the principals of Rapid Distributing understand the needs of our clients. Learn more! Contact Scott Dennis, CSDS at (616) 791-4747 ext. 2 or sdennis@rapiddistributing.com. REB Storage Systems International is an international distributor and integrator of material handling storage solutions. We specialize in engineering, supplying and installing records storage systems. REB offers new and used pallet rack, shelving, decking, multi-level catwalks, carts, ladders, and many other storage and material handling solutions. Our services include design and site survey, project management, permitting support, engineering, installation, and rack repair. Record Nations is the records information management industry’s only online marketplace for document management solutions. We instantly connect quality, READY-TO-BUY customers with professional, secure READY-TO-SERVE document management service providers. Records information management companies and customers alike, have relied on us for new business opportunities since 1999. Our goal is to make your information more secure, more accessible, and more compliant. We are not a document management company! We are a platform to help document management companies grow! Come by booth #307 to see how Record Nations can work for you. Learn more! Contact Rand LeMarinel at (866) 385-3706 or rlemarinel@recordnations.com. RouteOptix Software provides a complete software suite with specialized functionality for Document Destruction/Medical Waste/Recycling and more. Customers experience many benefits to manage and grow their business, including improved route productivity, increased profitability, flexibility to tailor the system, enhanced customer retention and tracking ROI. Features include: Customer Information/Optimized Routing/Dispatch/Integrated Bing Mapping/Material/Inventory Tracking/Bar Code Scanning, custom forms, reports/Billing & AR. Integration to Android devices provides real-time updates of service information, driver’s location, signed certificate of destruction & manifests/pictures/receipts/GPS location/directions/scanning of assets and more. NEW: Web Portal – your customers can now view their open invoices, pay invoices and view all upcoming services. Learn more! Contact Marion Davey at (519) 896-9433 or info@routeoptix.com. Safety Vision delivers the highest level of rear vision safety by providing cost-effective solutions that utilize the latest technology. Today’s commercial vehicles are not complete without an advanced rear vision system. Our durable and heavy-duty cameras capture a wide field of view offering maximum vehicle coverage. Connect to any of our sharp display monitors and supply a visual aid to eliminate blind spots, preventing vehicle damage and reducing unnecessary costly repairs. Equip your system with one of our mobile DVRs and identify unsafe, ineffective driving practices to improve driver performance. Achieve the utmost value from your fleet with a customized collision avoidance solution from Safety Vision. Learn more! Contact Tom Clark at (713) 896-6600 or tclark@safetyvision.com. For over 20 years, our team at Shredfast has provided its customers with the most secure, reliable, and best performing mobile shredding and mobile collection technology in the document destruction industry. It all starts with a commitment to our customers – we make it a priority to listen to individual needs and offer personalized service. This commitment has led to innovations in curbside loading, automated paper feeding, and high throughput shredding that have revolutionized mobile shredding and mobile collection vehicles. We now own more industry-specific patents than any other mobile shredding manufacturer. All our equipment is engineered, manufactured and tested in the USA at our manufacturing facility – the largest of its kind in the world. With Shredfast, you gain increased productivity, cutting-edge technology, smaller operating costs and a knowledgeable team devoted to our customers and industry. Learn more! Contact Rocky Rajewski at (509) 235-3800 or rocky@shredsupply.com. At ShredSupply, shredding trucks are our area of expertise. We use this extensive knowledge to provide our customers with cost-effective solutions for the mobile document destruction industry. Our team of highly skilled mechanics and technicians are dedicated to delivering high-quality equipment and exceptional customer service. This dedication has established us as the industries #1 choice for shredding truck refurbishment and used shredding truck sales. Whether you’re looking for refurbishment, quality pre-owned shredding equipment, or unmatched parts and service, we have what you need to help build, grow, and maintain your mobile shredding fleet. Learn more! Karl Ellwood (509) 244-7076 or karl@shredsupply.com. ShredMetrics helps you manage your business. We have modules to more efficiently route and track your trucks, to remotely monitor drivers for unsafe behavior, and to better estimate, track, and bill your work. Put simply, we keep things from slipping through the cracks! Programs are easy to learn and help you fit more stops into a day with less overtime. And if you are thinking about selling, our expert Consultants can help standardize your books so you’re “Sale-Ready” for maximum returns. Run by experienced Industry veterans, ShredMetrics understands that Knowledge isn’t just Power… Knowledge is Profit! Learn more! Contact Steven Innerfield, CSDS at Steve@ShredMetrics.com. Shred Nations is the shredding industry’s only online marketplace for shredding services, connecting quality READY-TO-BUY customers with professional READY-TO-SERVE shredding providers. With the power of data and personal touch, our service is designed to save you time, money, and hassle by quickly and accurately providing you with pre-screened ready-to-buy customers. Since 1999, over 1 million homes and businesses have trusted Shred Nations to get the job done. We are not shredders. We help shredders grow! Come by booth #306 and see how Shred Nations can work for you. Learn more! Contact Rand LeMarinel at (303) 962-5585 or rlemarinel@shrednations.com. Shred-Tech is a pioneer in the Mobile Document Destruction industry. We custom design and manufacture shredding equipment for a variety of waste and recycling applications. In-house Engineering & Design Services enable us to customize all standard shredders to meet the specific requirements of our customers’ needs. Shred-Tech has installed more than 6,000 systems worldwide and we are recognized globally for our first-class products and our commitment to innovation and quality. Smart Service supercharges document destruction businesses by providing the scheduling software they need to succeed. A direct QuickBooks add-on, Smart Service gives shredding companies the easy-to-use scheduling, routing, billing, and customer management tools required to increase efficiency, eliminate waste, and ultimately boost profits, all while integrating seamlessly with QuickBooks. If you’re interested in streamlining your operations with a mobile software solution, visit the Smart Service booth at i-SIGMA! Total Recall Software by DHS Worldwide Software Solutions is a leading technology provider of business management solutions for the records and secure destruction industries. Over 1200 operations around the globe have trusted Total Recall software by DHS Worldwide. Total Recall software is a turn key solution—from managing customer relationships, to route planning/optimization, billing and invoicing as well as credit card processing. Utilizing the latest in technology, Total Recall also provides a proven chain of custody through bin barcode scanning and offers client online web access for self-service request. For 25 years, DHS Worldwide has empowered organizations to succeed by providing innovative solutions and industry expertise. Learn more! Contact Richard Wisser, CSDS at (904) 213-0448 or richard@dhsworldwide.com. Since 1991 Trans Lease has provided needed financing to the transportation industry. For a decade, Trans Lease has worked with mobile document and hard drive destruction companies offering a convenient and competitive source of truck financing. Serving the U.S. and Canada, we offer a variety of lease and finance options designed to meet your companies specific needs. A simple application process makes it easy to acquire either a new or used truck. Learn more! Contact Terry Lee at (877) 600-6423 or tlee@transleaseinc.com. Ultratest Services was founded by storage industry veterans to provide next-generation tools to ITAD’s for better HDD processing. The Genesis system by Ultratec™ equips large-scale ITAD providers with an easy to use, fully automated platform that allows non-technical labor to test and repair SAS/SATA/SSD drives with zero operator intervention. With our proprietary testing and repair protocols, Genesis customers can increase yields 25-50% while minimizing labor, space, and waste stream contributions. Use the better margins Genesis delivers to add to your bottom line and win more deals. Vecoplan manufactures plant based shredders, shred trucks, and truck unloading containment systems. We offer installation, training, parts and service for all of our equipment. We build Non-CDL and CDL trucks equipped with pierce & tear, or single-shaft rotary shredders. Our single shaft shredders deliver crosscut consistency in one pass and allow you to modify particle size to the highest security levels through inexpensive, quickly and easily changed screens. They shred virtually anything that requires secure destruction, including hard-drives & other e-scrap, credit cards, CDs, DVDs, tapes, film, X-rays, anything made of plastic, as well as textiles, and counterfeit products. Learn more! Contact Luke James at (336) 252-4066 or info@VecoplanLLC.com. Vero is a leading provider of small business data breach solutions serving tens of thousands of business customers nationwide. Vero partners with premier ID theft and data breach risk management firms to provide innovative pre and post-breach solutions to its customers. The Vero small business data breach solution helps small businesses reduce and mitigate the legal and financial liability resulting from class action lawsuits while helping them comply with federal and state notification laws. Vero’s programs also provide NAID organizations with strong add-on revenue opportunities including differentiating services which will foster new business growth. Learn more! Contact James McCabe at (480) 748-0403 or jmccabe@veroproducts.com. VS Security Products are world leading manufacturers and suppliers of hard drive degaussers, magnetic tape erasers and hdd/ssd destroyers. We are committed to providing secure and complete data erasure solutions for globally recognized brands as well as government organizations. With a range of NSA and NATO certified degaussers, VS Security Products manufactures the most secure data destruction degaussers and destroyers on the market under the brand Verity Systems and also provides organizations with data auditing tools and lifetime technical guarantees on all its products. WebVitality is a strategic, boutique web marketing agency that translates complex search requirements into ROI-driven lead generation for your business. We have over 16 years of experience providing web marketing expertise to information destruction, records management, and medical waste providers just like you. We can support you with new website development, pay per click services, local SEO, copywriting and more. Ask us for client references. We look forward to talking to you. Learn more! Contact Tom Adams at (800) 450-5390 or info@webvitality.net. XpresspaX – The #1 media storage choice of the world’s largest data creators, storage vaults and cloud service providers. The XpresspaX Container System – with interchangeable insert trays – is the only true system designed specifically for tape and media storage and transportation. The NEW SmartpaXPro shred console system is the latest addition to the XpresspaX innovative line of Safer, Smarter, Sustainable shred receptacles, with the fastest service time in the industry!